North Korea’s propaganda victory from the Sony hack: Pyongyang could not have wished for a better outcome. 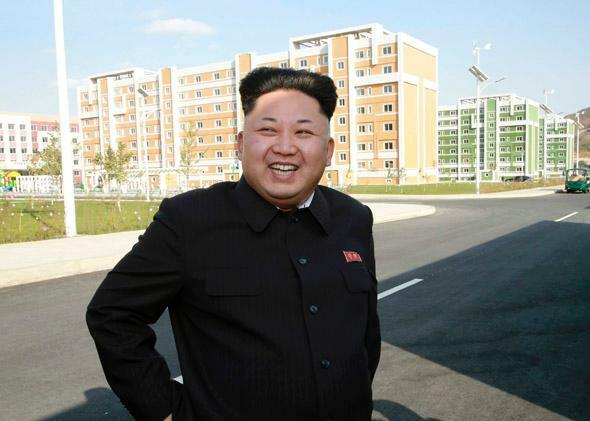 The Sony hacking story has unfolded just as North Korea’s propagandists would have wanted. I have spent the past few days frantically restoring my videos from North Korea that went mysteriously missing in the cloud. Being generally computer phobic, it was possible that I might have somehow pressed the wrong key and deleted them by mistake, but given the latest Sony hacking scandal, I became paranoid that someone was tampering with my electronic files. I emailed a few security experts who suggested various fixes and suggestions for encrypting my documents since I had recently published a book about North Korea, where I spent six months undercover. One of them asked me to phone him to discuss options since he did not trust my Internet connection or my computer. Such a precaution struck a familiar chord. It reminded me of the fears and paranoia I felt in North Korea where all my communication was monitored. The FBI has now officially accused North Korea of being behind the attack on Sony, which caused the film studio to pull the film The Interview although North Korea denies its role. We do know, however, that North Korea’s hacking army is capable of such an attack and has been accused of infiltrating South Korean banks and media outlets in the past. Whether they are the real culprit or not, the scandal has given North Korea just the type of notoriety it most enjoys. In 2011, during the late North Korean leader Kim Jong-il’s final six months, I taught at Pyongyang University of Science and Technology, a private university funded and operated by Westerners to educate the sons of the elite. My students were shockingly unaware of the outside world, which was a sad result of the regime’s maniacal control of all information, both in and out of the country. Though most of my students were computer majors, they did not know the Internet existed, and I wasn’t allowed to tell them. The North Korean hacking army, which is rumored to be a specialized government unit trained in China, is like mercenary soldiers that stand apart from the rest of the country’s citizens who remain ignorant of any technological developments. One thing I do know is that if any of my students were to have heard about The Interview, they would have considered it blasphemy. The film—putting aside its deeply uncomfortable attempt to satirize what is a modern-day gulag posing as a nation—is essentially about the assassination of North Korean leader Kim Jong-un. Americans should understand that the role of the Great Leader is not on par with a president or head of state. The Great Leader—now maintained through three generations—is both a Godlike figure, who is said to have created virtually everything in North Koreans’ world, and a parent who has taken care of them since birth. Every North Korean wears a pin that bears his face, and every room and building in North Korea has either a portrait of him or one of his sayings. I witnessed my students’ sorrow the day Kim Jong-il’s death was announced. They were so grief struck that they appeared as if their souls had been taken from them. The concept of the Great Leader is akin to a religious cult, and thus, for North Koreans, the mere suggestion of American agents murdering him, no matter how fictitious, can never be a joke. Of course, there are the dire realities of North Korea itself. Even in the privileged school in Pyongyang where I taught, the electricity got cut every day, and there were hardly any products that were domestically produced. The lack of everything defined our lives to such a degree that I often shuddered to think how bleak it must have been in the rest of the country. The scale of the people’s suffering—the poverty, malnutrition, and loss of life—is staggering. As for the government, it has backed itself into a corner. Its only form of leverage has been to position itself as a nuclear threat. It’s unfortunate that Sony reacted to the hacking as it did, since North Korea has now been legitimatized in a new way: as a cyberwar threat. This scandal seems to be following the usual course designed by North Korean propagandists, where the more serious and consequential story gets buried behind the sensational headlines that benefit no one more than the North Korea regime. What is being overshadowed this time is the one thing Pyongyang desperately wants the world to ignore. The United Nations’ General Assembly recently voted, by an overwhelming majority of 116 to 20 (with 53 abstentions), to refer North Korea to the International Criminal Court, and the U.N. Security Council met on Monday and voted in favor of adding North Korea’s human rights issues to its agenda over the objection of China and Russia. * Back in November, ahead of the U.N. vote, North Korea appeared genuinely panicked about the outcome. In the weeks leading up to it, the regime suddenly released the two American detainees, Kenneth Bae and Jeffrey Fowle, probably in hopes of muting the criticism of its human rights abuses. I am not sure how much Kim Jong-un really cares about being facetiously killed by actors in a Hollywood comedy, but it appears that he doesn’t want to have an arrest warrant issued against him by an international court the crimes against humanity. What is unfortunate about this latest Sony scandal is that we seem to have played straight into North Korea’s hands again. The movie is pulled. North Korea is feared. The ICC news is buried. Almost overnight, we have become paranoid and afraid, which is exactly where North Korea wants its subjects to be.